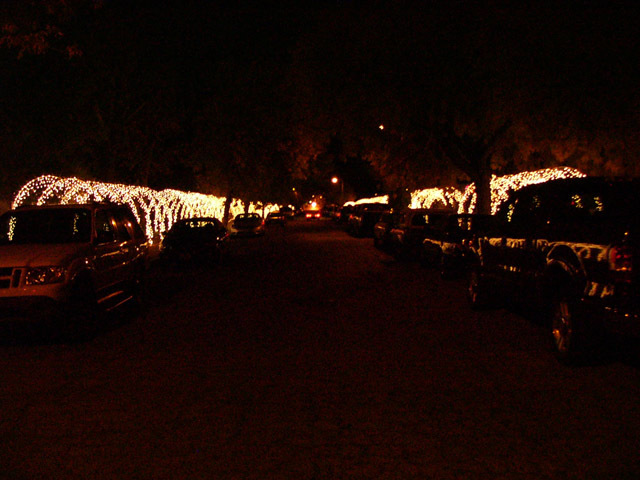 Here is my 2006 Christmas/Holiday light display. 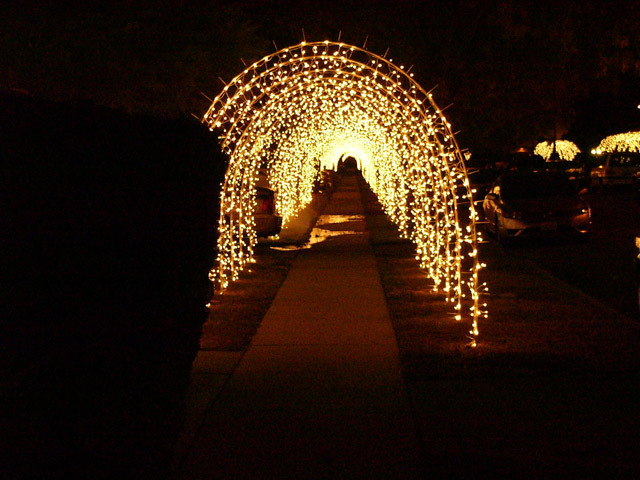 This Year we have named our Christmas/Holiday light display " The Yolanda Ave Walk Of Lights"
Please Park on Valerio near the school and enjoy the walk through the tunnels. If you drive down the street please do not exceed 5 MPH. Don't forget to dress warm and bring your cameras and strollers, bicycles, scooters, wagons or roller skates! Without the participation of my wonderful neighbors and construction help from Eddie Keels and Scott Mitchell my crazy vision would still be in my head, Thank you everyone! This project is very special because it has brought our entire neighborhood together. 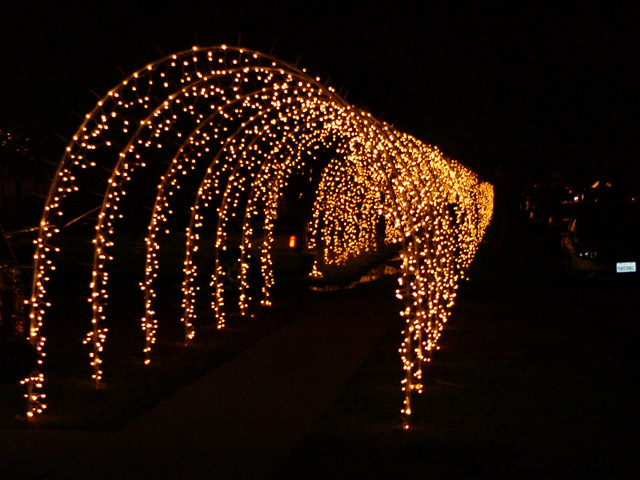 There is no competition for the best house just a common goal of extending the tunnel as far down both sides of the block as we can go, as of tonight 12-06-06 we have 138 arches with 300 lights on each arch totaling 41,400 lights and we are still building. The tunnels straddle the sidewalk on both sides of the street and extend almost the entire block. If you would like to build your own arches click here. Eddie and I, a finely oiled machine.